who doesn’t like a fritter every now and then? 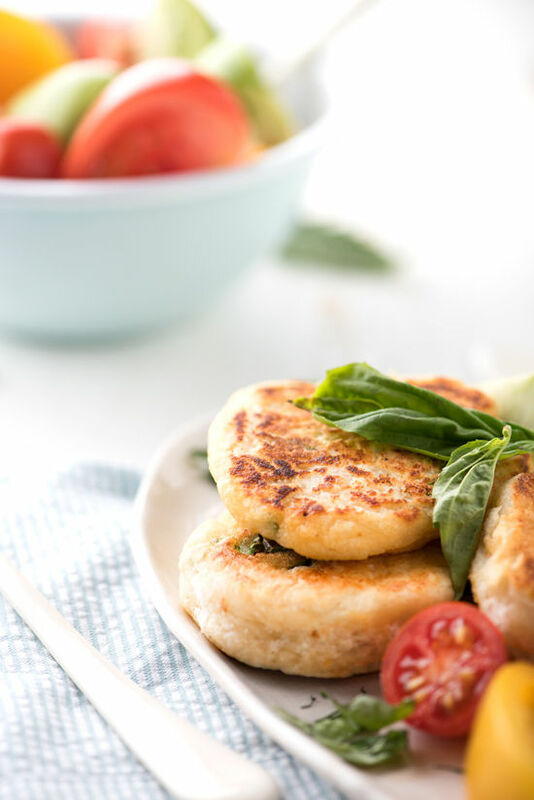 these ricotta fritters will not disappoint! 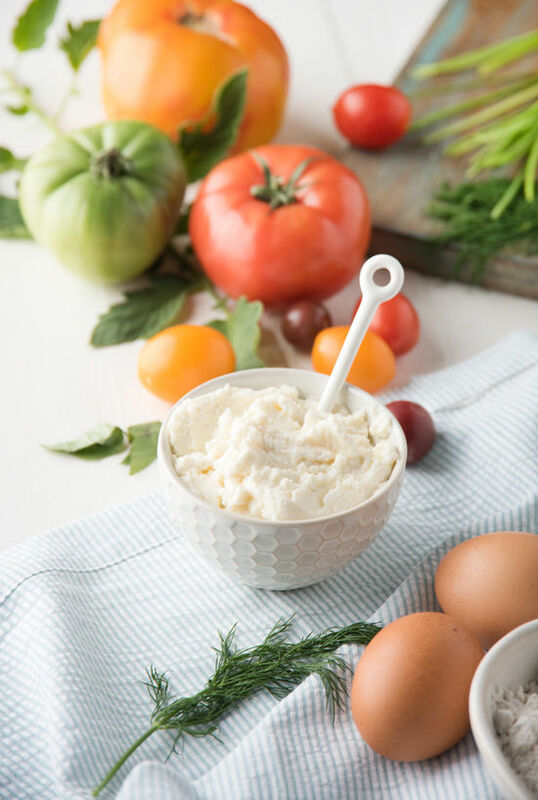 • In a large bowl combine 2 cups ricotta cheese with 3/4 cups self rising flour. stir in chopped basil and mix batter until evenly dispersed or a similar consistency to pancake batter. Add salt and pepper to taste. In a small bowl beat two egg whites until soft peaks form (an electric beater will save you a lot of time). Set aside. Set a nonstick pan on medium heat and pour 2 tablespoons olive oil. Make a small dollop with the palms of your hand with the riccota batter and dip it in the egg whites. Flatten slightly and place onto the heated olive oil. Cook for 3 minutes on each side or until browned. Repeat process until finished. 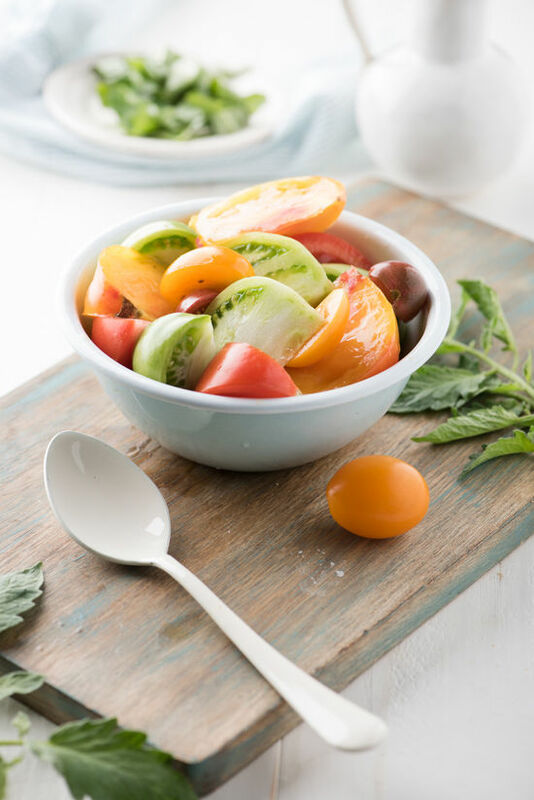 For the salad: In a medium sized bowl combine the 3 chopped heirloom tomatoes with 2 tablespoons of olive oil, 1 sprig of dill finely chopped, 2 tablespoons balsamic vinegar, and salt and pepper to taste. 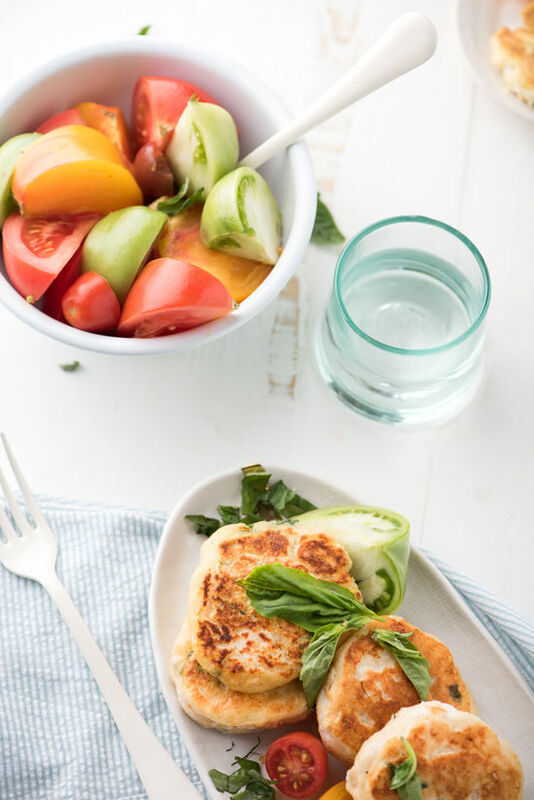 Serve together and garnish both dishes with basil. 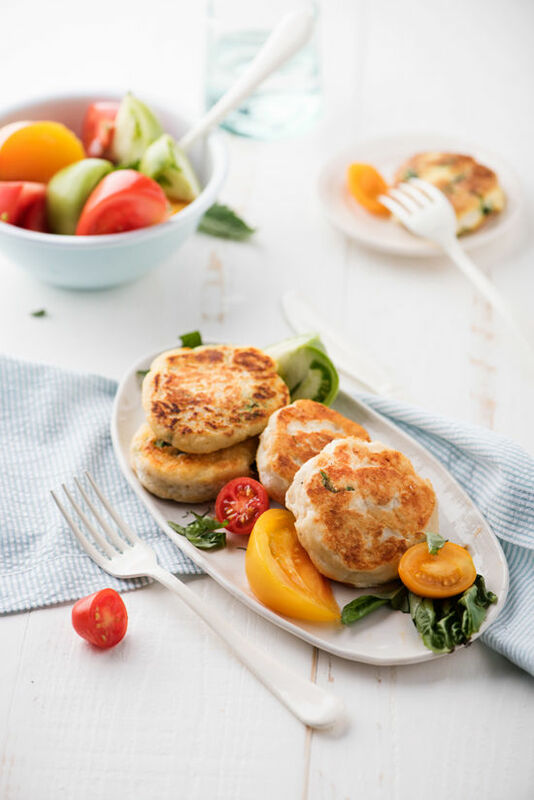 these look delicious – I know what we are having for dinner tomorrow night! Omg this looks so good! I’ve never heard of this before. 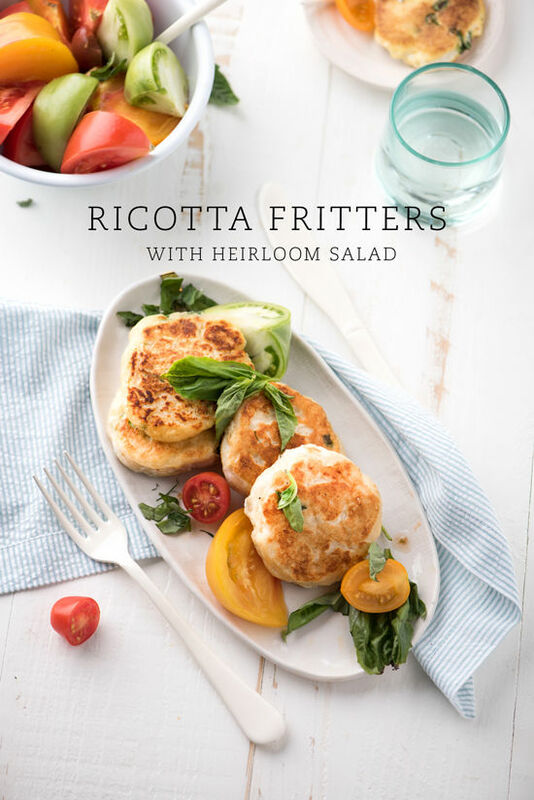 I am so obsessed with ricotta right now and this will be the perfect thing for me. Thanks for sharing! This recipe looks so good! 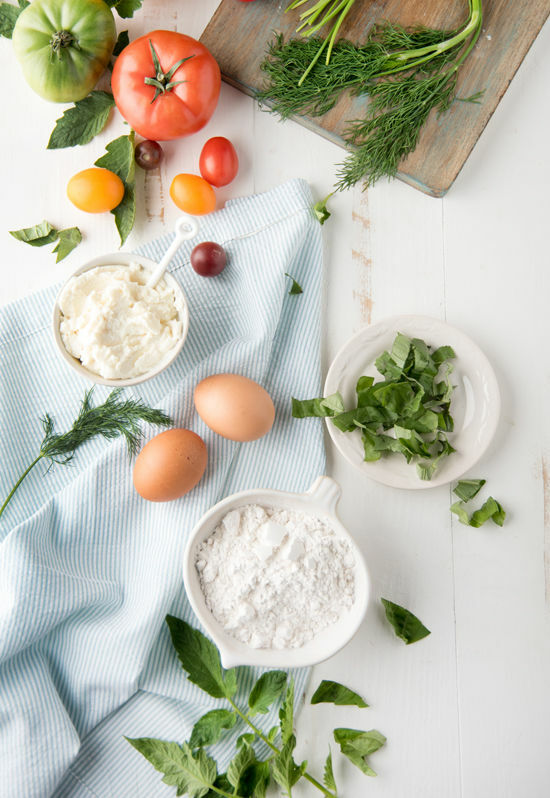 I love ricotta cheese and can’t wait to make these fritters. those white utensils!!! sooo pretty!! where are they from?! This sounds so delicious. Thanks! holy crap the photography and styling is gorgeous!! Ivan you are so talented! Personally, I think next time I’d recommend adding the egg to the batter rather than as a ‘dip’ pre-fry. Looks so yummy. Thanks for this recipe, I can’t wait to try this.